The creators of Animal Warriors of The Kingdom and Dusk, bring you their latest creation, GRITTS. The latest threat to America is a militant group of patriots stockpiling weapons in the mountains of Virginia. Dedicated to the ideals of the past and fed up with the current government these crazy S-O-Bs have a plan to restore their country to its former glory, using bullets. 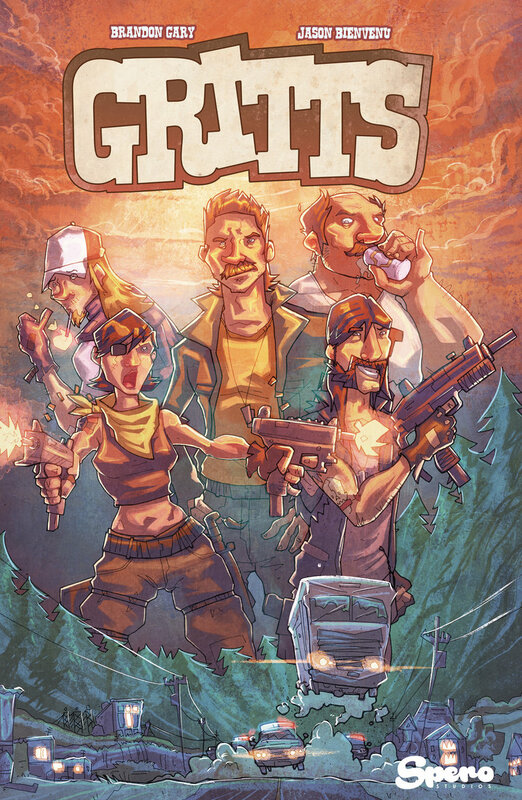 GRITTS wis available as a one-shot over-sized issue from artist Jason Bienvenu and writer Brandon Gary. Follow along on the social platform of your choice and tell your friends how great it is to support independent creators! Your first chance to order an exclusive Animal Warriors of the Kingdom Action Figure is here! Spero Studios is thrilled to be working with The Mutant & Monster Mayhem Toy Show to bring you their first exclusive Animal Warriors of the Kingdom action figure - The Tezca Royal Guard!